When the player enters their trigger, it’ll block the camera control and change the camera according to it’s settings. When the player leaves their trigger, it’ll return the camera control. The camera can be changed by either using a Camera Position or a game object in the scene. We’ll use both methods. 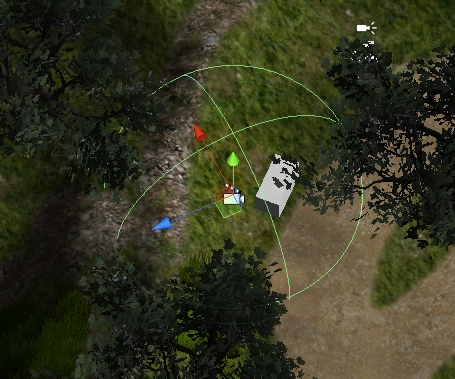 First, we’ll create a new camera position – I’ve created mine using the ORK Scene Wizard’s Create Camera Position option. I wanted a distant view from the left side of the scene, here’s the result, but feel free to create your own. To copy my settings, open the ORK Framework editor and navigate to World > Camera Positions. Add a new camera position and change the following settings. Set to X=-6, Y=5, Z=-6.5. Set to X=29.5, Y=42, Z=0. And that’s it for the camera position. Click on Save Settings and close the ORK Framework editor. Open the town scene (1 Town, can be found in Assets/Tutorial Resources/Scenes/) – it’s time to make it a little bit more interesting. 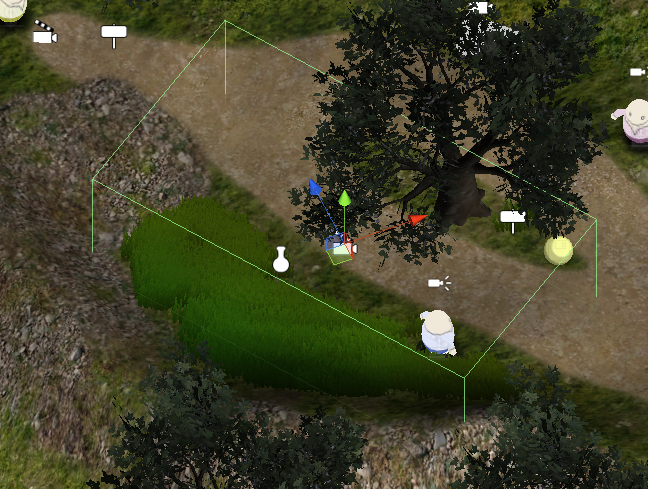 We’ll add 4 Camera Events to our town scene. The scene wizard will create a new game object with a Sphere Collider component (used as trigger) and the Camera Event component attached. Set to X=15.8, Y=3.9, Z=35.7. We’re using a Camera Position here. Else, we’d use the position and rotation of a game object in the scene. This would restore the camera’s position and rotation after the player leaves the trigger of the event. The camera will use the event’s object for camera placement. Else, the player would be used. We’ll change the camera position over time. And that’s it for the first camera event. We’ll continue with a camera change at the item box we added last time. Add a new camera event using the scene wizard. Set to X=30.8, Y=7.6, Z=34. Don’t forget to give it a useful name, like BoxCamPos. Set to X=29.7, Y=4, Z=31. Select BoxCamPos (or however you named your object). 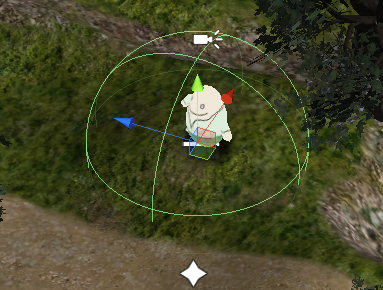 When using a game object for placement, we need to define the field of view. 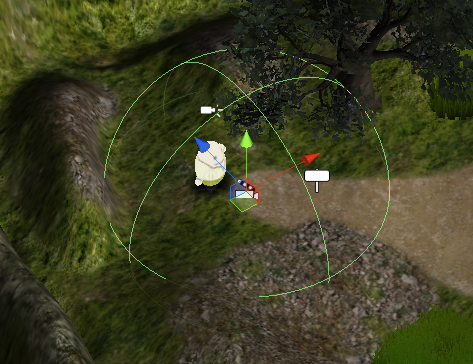 The camera will look at the player/target. The camera position will be updated, i.e. it will continue looking at the player when he moves. And that’s it for this camera event. 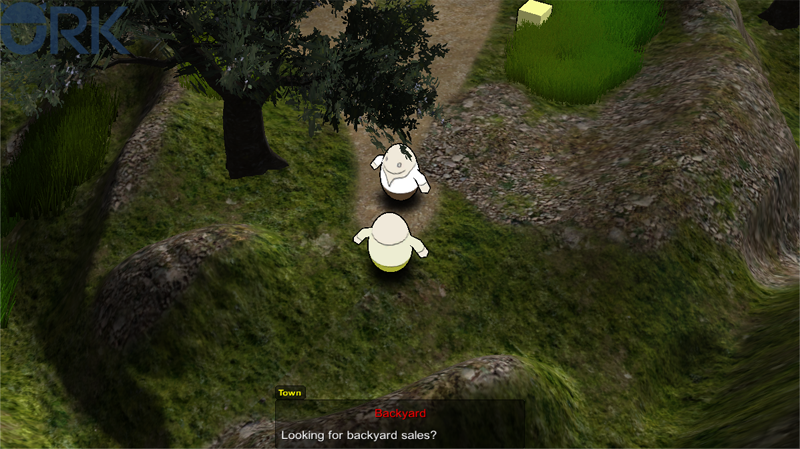 The first NPC we added to the game hasn’t much to say, but he still gets a shiny new camera event. Add it using the scene wizard. Set to X=31.8, Y=7.7, Z=13.4. Set to X=30.3, Y=39, Z=359.5. Name the new object GPCamPos. Set to X=35.3, Y=4, Z=16.7. Select Ease In Out Cubic. Finally, we’ll add a camera event on the way between Blue Pants and the shop – it’ll be a corridor using a camera position. Add a new camera event. Remove the Sphere Collider and add a Box Collider component instead. Set to X=21.2, Y=5.1, Z=22.8. Set to X=0, Y=327.1, Z=0. Set to X=8, Y=5, Z=15. The camera will continue updating the position using the selected Camera Position. When you walk into the triggers of our new camera events, you’ll see the camera changing – and returning to the player’s camera control when leaving the triggers. 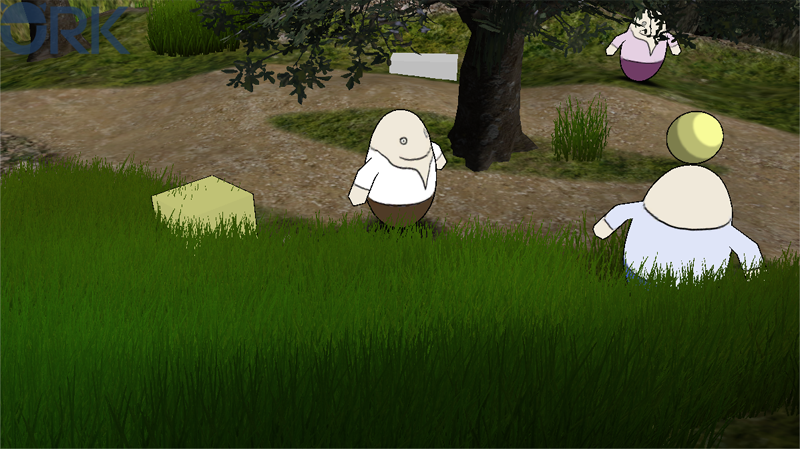 And that’s it for now – the next lesson will cover an interaction HUD.